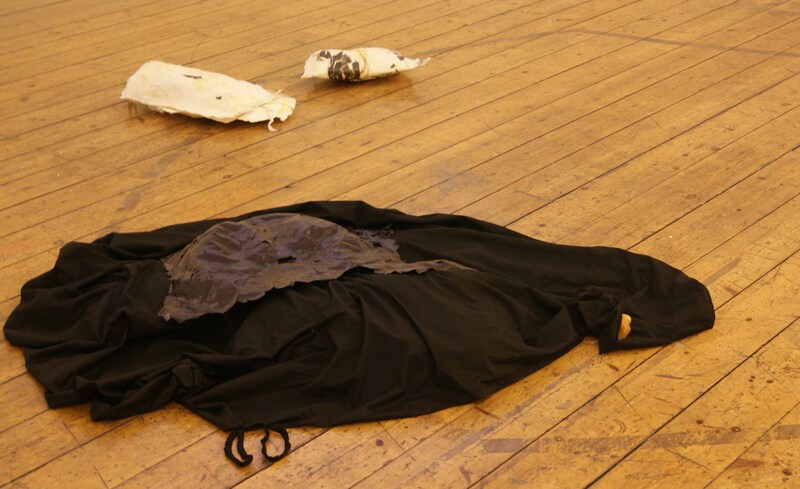 Presenting for a Group Tutorial – combined work with Wendy Titmus – fear, death, mourning, loss, absence – her photos hold the keys for the attempted unlocking of the subject – a bunch of keys – some will be nearer to the fit than others. Following from work exhibited at the summer exhib – passing into a phase of learning – re-membering. Learning the material, learning a breaking down…. the process, how it happens, what happens, through what passage does one pass. This is becoming – a collision of time and half- visions – where thought requires material to ground it. 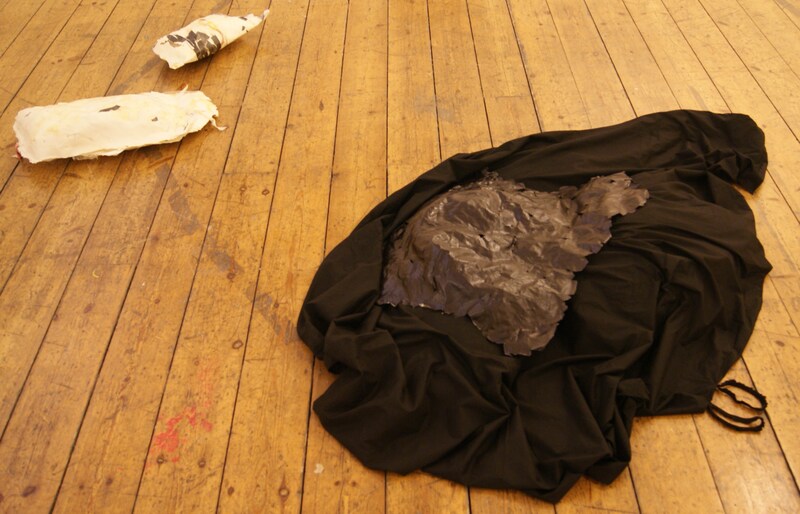 Materials – paper, fabric, hair, drawings (torn), black paper soaked – varnished. 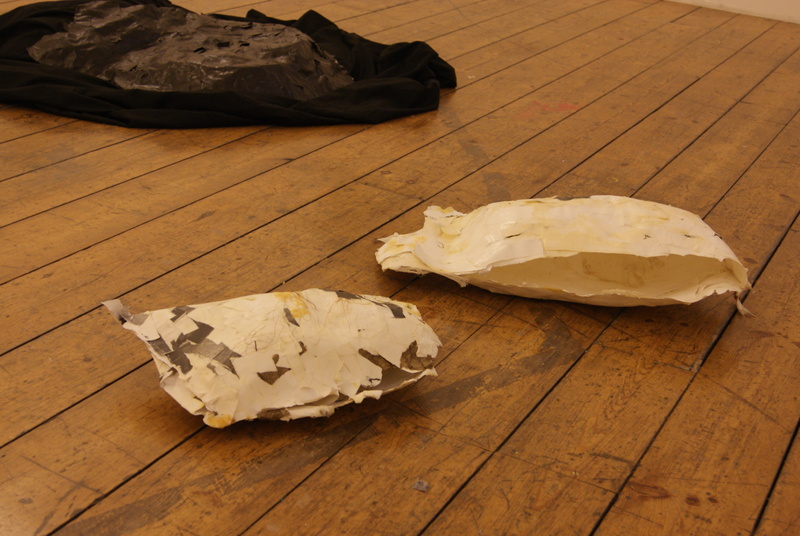 The presence of dropped fabric – a space for a ‘circling’. Delivering possibilities – there is more space on the other side of this work than there was before the start – potential increases – words increase – it weaves, spins and will lift. Behaving as a cast – to hold, support, remember, remind. They breath in the old to expel the new – a circling of sorts. The residues of a happening – sound – breath – death – day – night – hope – held in the pillow that serviced the day.